I am in the tiny country of Antigua. Based on what I’ve read and observed driving all around the island, this is a poor country. The minimum wage is $3.50 an hour. Most of the housing was best described as meeting very basic needs, if that, depending on how you define basic. But guess what? This nation of 93,000 has a new hospital, new international airport, new cricket stadium, new street lights, a new bus station and farmers market. How did they accomplish all that? The Chinese built all of those projects with their cheap labor and on most favorable terms. And the Chinese do something else; they provide college scholarships for four years. The first year the students learn mandarin I China and then earn degrees. Why would the Chinese pay any attention to a small country in the Caribbean? To expand their trading influence of course. 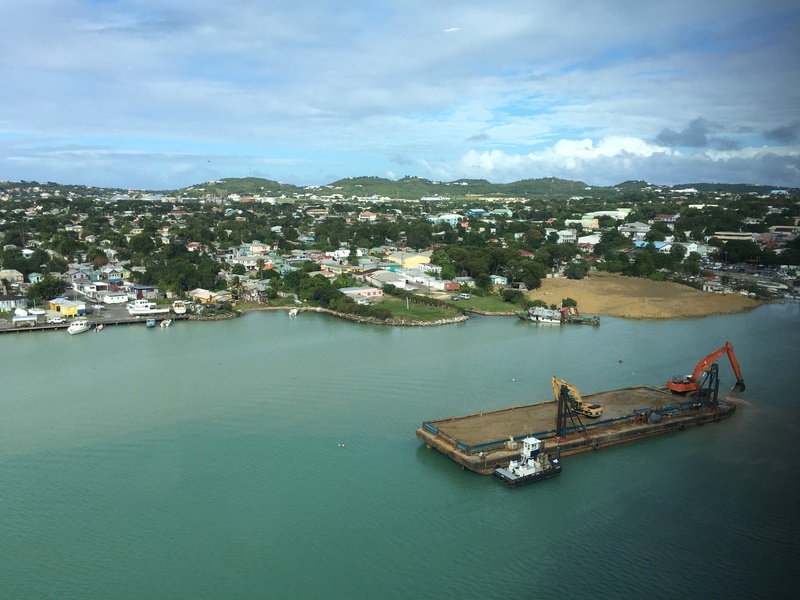 However, there is another more strategic reason which is that Antigua is a member of the United Nations and when China needs a vote, they now have another country favorably disposed to them. So while the US starts embracing isolationism and in the process alienates much of the world, China is gradually expanding its influence. How smart is the government of the United States? Again, where your money goes and why Social Security and Medicare and health care aren’t fixed. We are not at all smart especially with the man currently at the helm. He is almost certain to ruin anything he touched on an international basis and I suspect only the very wealthy will benefit from his leadership. For me four years can’t come soon enough. The government of the United States is headed by a pathological liar whom I am becoming increasingly convinced is mentally ill. Yes, it appears they are strategically smart. Did this all happen in the last 2+ weeks?